It really never ceases to amaze me the stupidity of some people. So in this episode he talks about what would be better? A pro DSLR with a cheapo lens or a cheapo DSLR with an expensive lens? Well, we thought we’d answer that question in this video by asking two very different photographers to show us what they’re like. We tested the Canon 1D Mark IV with a Sigma 28-300mm f/something and a Canon 550D with a 24-70mm f/2.8L. What produces better results? Watch the video to find out. It seems like the Fuji X10 name has been confirmed. This is going to be a killer/awesome compact camera by looking at the new leaked pictures and the specs. I wonder if my wife wants to trade in her S95 for one :). According to rumors, the X10 is suppose to be announced maybe as early as tomorrow (September 1, 2011) and suppose to be shipping in November. 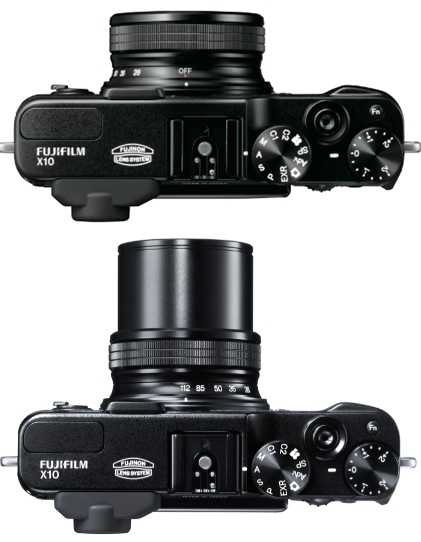 The Fuji X10 will have a power switch on the lens with a fast start up time of 0.8 seconds. The camera will have 4 different auto bracketing options for ISO, exposure, dynamic range and film simulation. 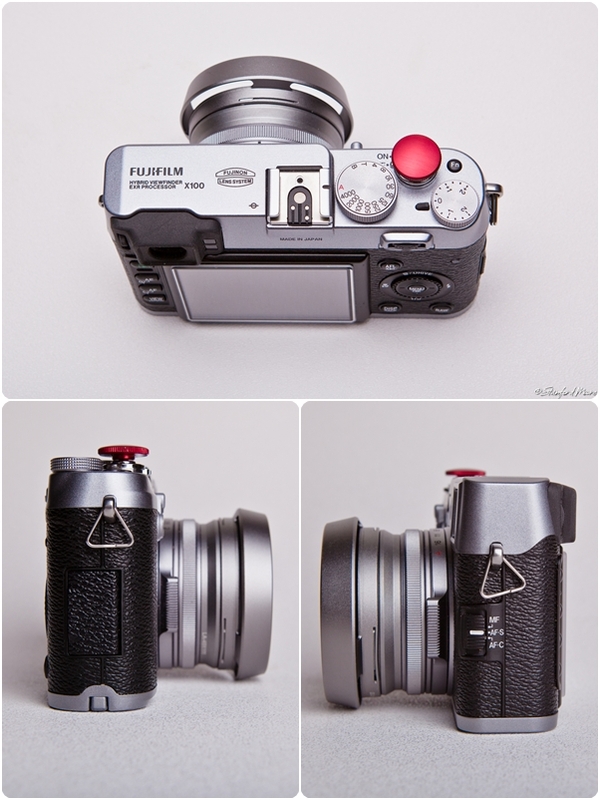 Hot Shoe – Fuji TTL same as X100. I will start of saying this… I am just a regular hobbyist that picked up photography 4-5 years ago. I have been published on and in books, magazines, websites, etc. That said, I am still learning photography and will still continue to learn and improve myself. Recently I picked a Fuji X100 and instantly fell in love. This is by far the greatest camera that I have ever owned. Granted since I really just got into photography I have only owned maybe 14-15 cameras (half P&S cameras). There are a few things I love about this camera. To name a few, I love the looks, the build quality, the image quality, and the unthreatening and unobtrusive nature of the camera. There are a lot of different reviews out there. In most of these reviews they have compared this camera to everything from a Leica M9 to other types of SLR’s. First I would like to say that I am just going to talk about my experiences with the camera. I will leave it to the professional reviewers to measure, compare, write and rate this camera. Second, this is not a rangefinder camera. There are a lot of people out there that still thinks this camera is a rangefinder camera. Third, this is not a DSLR. It is not going to act, focus, and perform like a DSLR. Right now my main camera is a very capable Canon 5D Mark II. I also have a nice collection of “L” glass. I still shoot with my Canon 5D as a backup camera. While I am not going to be doing any scientific comparisons, I might mention my current camera gear as references/comparisons. I’ve been looking for that “perfect” camera that I can carry everywhere for a long time. I hated carrying my 5DMarkII everywhere to take decent pictures. I use to carry that to restaurant, the park, hanging out with friends, etc. It got to the point where I would just use my crappy iPhone 3GS or one of my P&S cameras. I thought I found the answer with the Canon S95. It is a great small P&S with decent image quality. But still at the end of the day I still longed for something small that I can carry everywhere and that has both the image quality of my 5D Mark II/DSLR. I admit when I saw the specs and images of this camera from last year’s Photokina, I thought “cool camera” but didn’t think much else about it. When it was released, I still didn’t think about it. Then comes all the real world image examples and reviews, and thought I have to look into this camera…. Well when I saw this and held this camera, I was sold. It was like love at first site. But the problem was trying to find one in stock somewhere. Not only was the world’s supply down from the devastating tsunami in Japan, but everyone seems to be buying out what was left. In fact right now it is a hard to find camera. Never the less, I found one two months ago and have been inseparable ever since. The camera looks like a minimalistic retro/vintage camera. It resembles a classic rangefinder. The X100 is a joy to use. The small size allows me to carry the X100 anywhere and everywhere. I know a lot of people will carry this camera many different ways, but I usually put this camera in my cargo pants pocket. When I go to work then it goes into my work bag. My 5DMkII would never fit into my work bag. 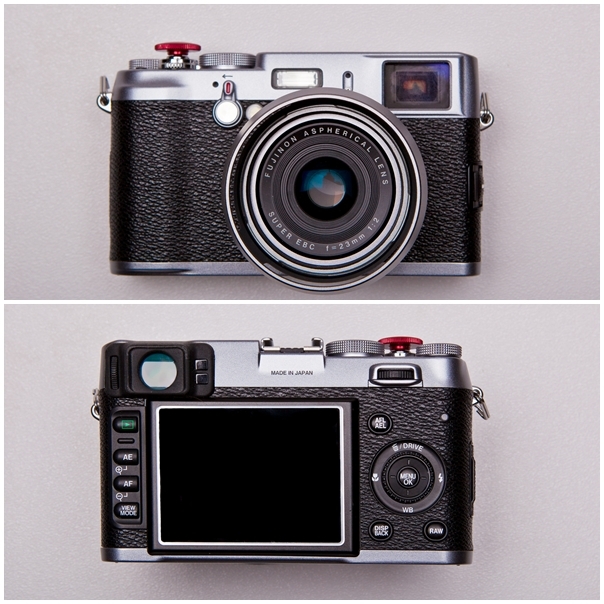 The X100’s body is ergonomically designed and has a good feel to it. Even for people with big hands like myself, it still feels right. The X100 has a fixed 23mm f/2 lens (35mm equivalent). This lens is a perfect match for its APS-C sensor. For me 35mm is the perfect all around focal length, it’s not wide enough to create distortion but wide enough to get what you want into the shot. Yes I think a zoom would be more convenient, but not if it decreases the image quality or increased the size of this camera. Another think I love about this lens is its f/2 aperture. This allows me to get clean low light shots and that beautiful bokeh that everyone likes/talks about. I want to mention that some lenses produce harsh/ugly bokeh, not the X100. The lens has a 9-curved blade aperture, which produces nice, creamy beautiful bokeh. Another cool feature is the viewfinder. It has both an optical and electrical view finder. I am not going to go into how it works because you can just Google it. While I use the LCD in the back for half of my shots, I really enjoy the optical viewfinder. The optical viewfinder is large and clear. It shows you everything inside and the outside edges of your frame. Also it has an overlay which shows cool things like metering, leveling, histograms, etc… I love it. The electronic viewfinder is cool especially in the dark. I also love EV, aperture and shutter speed dials/controls. It’s a change from DSLR (unless I am using manual lenses). I find it makes it easy to adjust the camera settings. Other hardware related items that I wanted to mention is the built in hardware 3-stop ND filter. This allows me to shoot wide open outdoors in the bright sun. Combine this with 1/1000th sync speed; I can get some great wide open outdoors and studio shots. I love the leaf shutter. Not only this shutter is super silent, it lets me shoot 1/1000 with pocket wizards. This allows me to shoot action shots outdoors and in the studio. I also heard that it allows up to 1/4000 sync speeds using a sync cable. I have only played around with video a few times, so I cannot really comment a lot about it. Also I have only taken a few shots with the panoramic feature of the camera. I think it is a very useful feature and cannot wait until I have the opportunity to utilize it. The images I am getting from my Fuji X100 have been nothing short of amazing. Normally I am a RAW shooter, ever since my XT all the way to my 5D Mark II I shoot nothing but RAW. But the sharpest, color, lighting, color balance, etc are almost perfect. There is not much I can do to the X100 raw files that is not already done to the JPEG file. The images are sharp, I am assuming it is because of a weak anti-aliasing filter. Also the megapixel count is perfect for the lens and sensor. Now lets talk about the ISO/low light handling of the X100. The ISO performance is phenomenal. Typically with most P&S and some older DSLR’s I would never go past ISO800 or it tends to produce a lot of noise. One reason why I love my Canon 5D Mark II is because the noise at ISO3200 tends to be very well controlled. So I was excited that the ISO3200 produced similar results to my 5DMkII. In fact I actually use the AutoISO feature of the Fuji all the way up to ISO3200. This covers 99% of my shooting, even in very low light. The X100 auto white balance is one of the best I have ever seen. It usually gets the temperature/white balance correct about 90% of the time. The Fuji color and tonality are some of the most accurate that I have ever seen. The colors I usually get with my Canon usually have a reddish cast to it, the same with Nikons. But not with Fuji, it is pretty accurate. The X100 has a few film simulation modes; three color ones and a few b&w ones. Of course I love color. The default Provia is nice. I like using Velvia when I am shooting landscapes, flowers, nature, etc. But I usually leave it on Astia. It produces nice creamy, pleasing images. There is something about it. Aperture priority: I usually use f/2 or f/2.8, 85% of the time. When it is too bright, I will use the built in ND filter. JPEG: I usually leave it on JPEG most of the time. Unless I am shooting people, landscape, etc then I will use RAW+JPEG. AutoDR is set to DR100. It goes up to DR400, but I find that DR100 does a reasonable job. Auto ISO – up to ISO 3200 and have it jumps the ISO when the shutter starts to drop below 1/60sec. So is the Fuji X100 the perfect camera… Well no, since there is not such thing, but it is getting there. The camera has flaws just like any other camera, car, person, computer, etc. I will not go through all the flaw or complaints out there. There are a lot of other reviews that talks about these issues. While there are some improvements that can be made, I have worked around them to suit me. It is the person behind the camera and not just the camera. Manual focus needs to be improved. The focus ring is virtually useless. It takes about 1000 rotations to go from the min focus distance to infinity. Focusing speed can be improved. I think this is the number one complaint out there. I have missed some shots because of the focus speed. It sort of reminds me of my 5DMkII and the 85L or 50L in low light. But it definitely is not a showstopper. The menu system is not the best-organized menu out there. I sometimes have to “Remember” where to go. There are a lot of small capable cameras out there such as the Canon G series, Sony NEX series, Leica M9/X1 series, and a bunch of other micro 4/3rd systems. They all have their strengths and weaknesses. Given all that, the Fuji X100 outshines them all in my opinion. This camera is not really suited for people who want an interchangeable lens DSLR or someone who wants an automatic point and shoot camera. You will be disappointed. Now if you are looking for a very capable, small lightweight camera, one that you can be creative with and grow with then the X100 is the perfect camera for you. It makes a great second camera for those who carry big DSLRs with a lot of lenses. The images that come out of this are better than most DSLR’s with big/nice lenses. This camera also makes a great lightweight travel companion for those who want to leave their huge DSLR/lens at home or in the hotel room. I think Fuji released a fine product. This is one of the best camera since digital cameras came out. You can tell Fuji did their job when there have been a lot of praises, criticisms, and feedback/reviews of many. 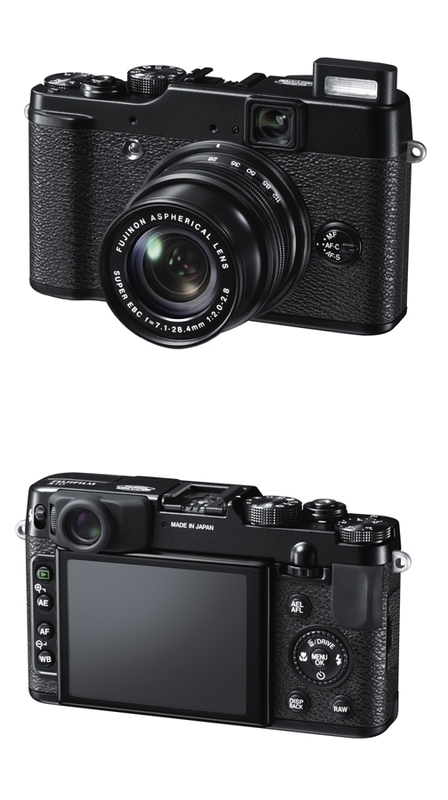 I hope other camera companies follow suit as Fuji did with the X100.